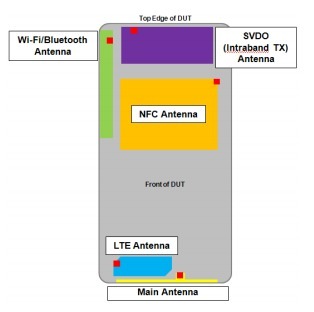 A Motorola device with model number XT926 attached to it, cruised through the FCC today. As we know thanks to a variety of Moto employees who posted both pictures and benchmarks from the device to public sites over the last few months, this should be the DROID RAZR HD. According to this FCC filing, it was tested for Verizon’s 3G (CDMA 800/1900) and LTE networks. It also packs GSM and WCDMA radios, so there is a good chance that this phone will end up with global roaming capabilities. As you can see from the picture above, an NFC chip is included as well. We have no idea when this phone will launch, but FCC filings are always a good sign that it should be right around the corner. Is this Moto and Big Red’s next summer blockbuster device? You tell me.